No. 16, Jalan BPU 1, Bandar Puchong Utama, 47100 Puchong, Selangor, Malaysia. KSW GEMILANG SDN BHD was established in 1992 . We are the one-stop castors & wheels center who are able to provide a wide range of quality castors & wheels. We are committed to our customers first and foremost. We support this commitment by providing a high level of services. 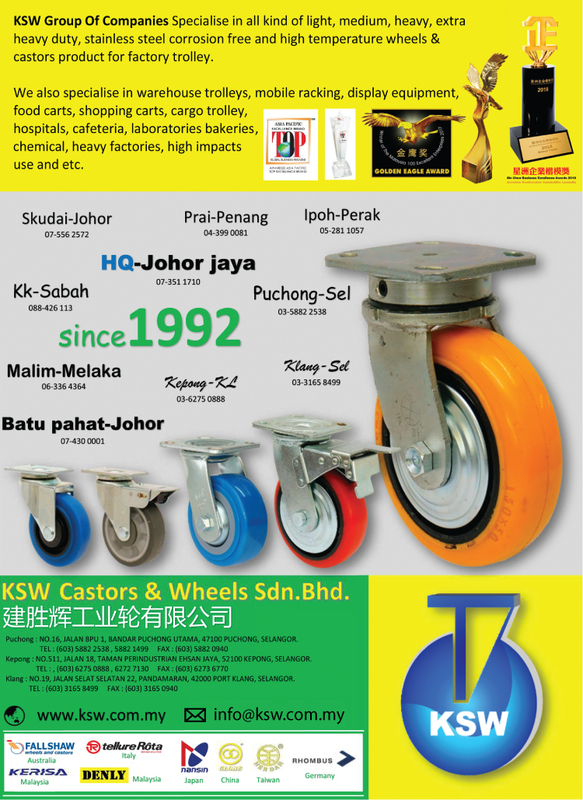 KSW GEMILANG SDN BHD Specialise in all kind of light, medium, heavy, extra heavy duty, stainless steel corrosion free and high temperature wheels & castors product for factory trolley. 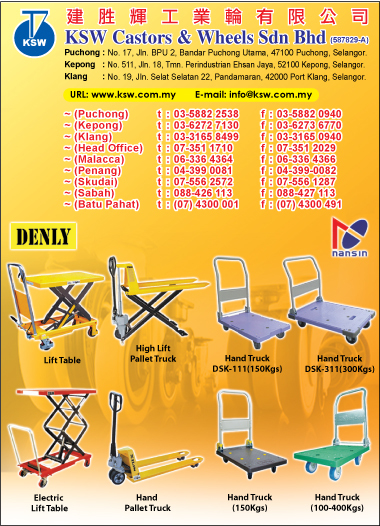 We also specialise in warehouse trolleys, mobile racking, display equipment, food carts, shopping carts, cargo trolley, hospitals, cafeteria, laboratories bakeries, chemical, heavy factories, high impacts use and etc.